Jane Calvin, Dis-Location, 2003, dye coupler print. Mary and Leigh Block Museum of Art, Northwestern University, Gift of the artist, 2008.26. Courtesy of Jane Calvin. EVANSTON, IL.- Photography evoking the complex dimensions of people and places is on display at Northwestern Universitys Mary and Leigh Block Museum of Art this summer. Place and Presence: Photography from the Collection, the Block Museums summer 2009 exhibition, is open to the public now through Aug. 30, in the Alsdorf Gallery. From quiet interiors and mysterious landscapes to intimate portraits and symbolic visages, the works in this exhibition examine the experience of places and the perception of character beneath the surface. Place and Presence also gives proclamation to the Block Museums rapidly growing collection of photography. These 30 photographs, many of which have never been publicly displayed at the museum before now, represent only a fragment of the Blocks holdings. While the exhibition is not intended to be a survey of the collection or a historical overview, it celebrates past achievements and presents a fascinating group of psychologically complex works. Place and Presence features works by Chicago-based photographers, including Jane Calvin, Scott Fortino, Laura Letinsky, and Brad Temkin, as well as international artists such as Guatemalas Luis González Palma and the Iranian-born Shirin Neshat. Scott Fortino, a Chicago police officer for more than 30 years, is known for his stark photographs of institutional spaces which explore the psychology of confinement and protection. He uses his lens to capture the interiors of police holding cells, jury rooms, and other places that his badge allows him to enter. Employing a long exposure in the color photograph Advocacy Interview Room for Victims of Domestic Violence (2005), Fortino captures the unoccupied interior with precision and a heightened depth of field. Laura Letinsky says she is interested in looking at what is after the fact, at what (ma)lingers, at what persists and by inference, at what is gone. Untitled #14 (2005) is part of Somewhere Somewhere, in which Letinsky photographed homes after their occupants had moved out but before new residents had moved in. Devoid of people, the photograph allows the viewer to contemplate the physical properties of an empty room, such as the rays of light streaking though the window blinds and the stripes on the wallpaper. 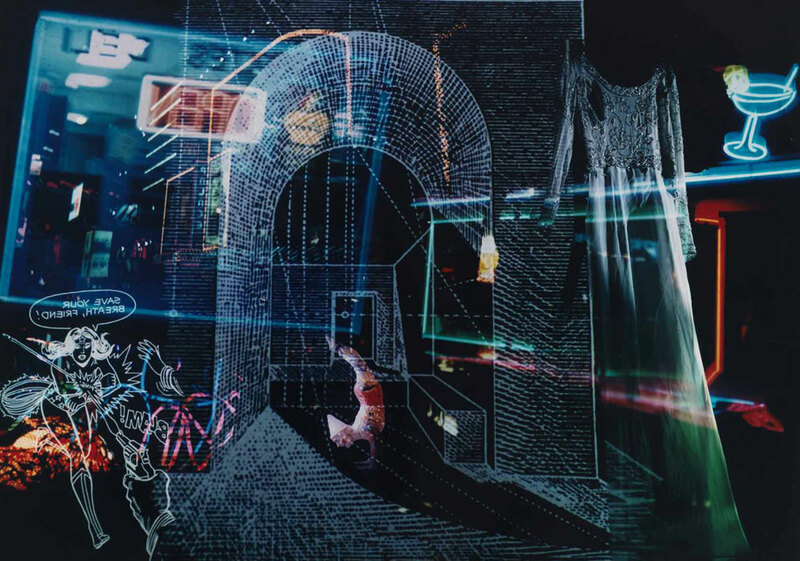 Installation artist and photographer Jane Calvins Dis-Location (2004) is an intricate color image that disorients with its fragmented spaces, Wonder Woman comic, acrobatic clown, reversed text, and formal gown. Calvin constructs her complex photographs without the use of darkroom or digital tricks. Instead she builds room-sized assemblages with found objects, projects slides onto them, and photographs the resulting tableaux into which layers of meaning are woven. Nasher Museum of Art at Duke to Present "Picasso and the Allure of Language"
A Large Stone Quarry from the End of the Second Temple Period was Exposed on Shmuel HaNavi St.